I was proud to be a candidate for City Council in the election we held here in West Hollywood on March 3rd. Although I didn’t win, it was incredibly rewarding to meet the voters across West Hollywood, to listen their stories, to hear about their needs and concerns. From the Russian seniors to the LGBT youth I met along the campaign trail, the residents of West Hollywood are an incredible people, and my passion and desire to fight for their interests remains stronger than ever. The first step in ensuring that those communities, the people who make us who we are, are protected for the future is to make sure we make the right choice on June 2nd, the upcoming special election taking place to fill the remainder of L.A. County Assessor Jeff Prang’s City Council seat for the next two years. It has become abundantly clear to me that the right person to fill that seat and lead our city forward is our longtime Councilmember, the great John Heilman. I’d met John several times in the last few years, but I got to know him well as we both ran our respective campaigns for City Council. Not only was he kind and gracious, but, unlike many in politics these days, was incredibly inclusive (despite my young age, something some tried to hold against me) and treated me with respect and dignity. This from a man who created our city, who is responsible for the beautiful, amazing West Hollywood we have today, who had absolutely nothing to gain from taking me seriously and giving me the benefit of his time, advice and wisdom. I think that speaks to his integrity, as a man and as a Council member. Do we agree on every single issue? Of course not. In fact I anticipate we’ll have some pretty big disagreements on various fronts in the future. But if you vote for someone expecting that you’ll be in agreement with them 100 percent of the time, you’re bound to be very disappointed. Do I think new leadership and change are healthy things for a city? Absolutely. But change for the sake of change is reckless and irresponsible, and John, with his institutional knowledge and proven commitment to the progressive values we believe in, is far and away the best choice of the field of candidates. John, in addition to Cleve Jones, Ivy Bottini and others like them, is an icon of the gay movement. There wouldn’t be the West Hollywood, the gay mecca as we know it today, if it weren’t for him. One of the longest serving openly gay elected officials in U.S. history, John led the fight to create domestic partnerships in our city (among the first cities in the world to do so) and to fight HIV/AIDS at a critical time for our community. John is responsible for creating the diverse urban village feel that makes West Hollywood so unique and special. He was initially elected, in addition to the cause of gay rights, on the issue of tenants rights, affordable housing and rent control; he created our city’s rent stabilization ordinance to protect disadvantaged people from the big landlords and developers. From the beginning of his political career, John has always been about protecting the people’s interests vs. the special interests. When it comes to transparency and accountability in government, John Heilman has been a leader. John, along with our great former Councilmember Abbe Land, fought hard on several occasions to pass a law banning former city employees, former members of the city advisory boards and/or commissions and former campaign managers from lobbying the Council. You may not always agree with him, but you know exactly where he stands, and you know he’s doing it for the right reasons, as he always has. At a recent endorsement meeting for the West Hollywood/Beverly Hills Democratic Club, I was shocked by some of the words said by our outgoing Mayor, John D’Amico, who was aggressively advocating against giving the club’s endorsement to John Heilman (an endorsement Heilman won soon after, despite D’Amico’s words, with 60 percent support). D’Amico talked about “West Hollywood 2.0,” about how it was time for our city to change and move forward without Heilman’s leadership. After all, D’Amico said, “it’s not like we’re going to bury the man. He’s going to be fine!” Quite frankly, I felt the Mayor’s words to be unnecessarily rude and condescending, and unbecoming of an elected government official. This, by the way, was in addition to the comments the Mayor made to me directly back in January that he thought Heilman would lose in the March race as 250 of his Russian voters/supporters die between each election. D’Amico went on to say that it was a new century and that it’s time for the new generation to have their say in the process. Well, with all due respect Mr. Mayor, my generation can speak for ourselves. And there are many, and I mean many, of us who are stridently in support of Councilmember Heilman’s candidacy- we believe in the leadership and progressive vision he has fought for over the last 30 years and want to have him representing our interests on the Council once again. And that’s because John Heilman cares about us, the people of West Hollywood, and our future. Editor’s Note: WEHOville will publish endorsements such as this for the June 2 City Council race from unsuccessful candidates in the March 3 race such as James Duke Mason. Lynn: I’m not entirely sure what you mean by credentials? Guillermo: would you mind sharing your credentials with us? I think Heilman represents an old guard which people want to see changed. The major issue with Shink which concerns me is her record on being on the West Hollywood Planning Commission. I do like the fact that she’s an eastside resident as I think the council is far too dominated by people from the west-end. I have no real thoughts on Etman, I liked what he said in his transit ideas. He seems to be running a campaign based on ideas. I like his ideas on traffic for instance. Block – I went to vote and saw him standing barely outside of the voting area trying to electioneer. I saw his signs put up without asking permission of the property owners. I saw his signs on public property even though this is illegal. Admittedly some of his ideas were interesting. However, the truth of government is that it requires coalition building to have anything done. If elected he would be one voice of five, and his record indicates an unwillingness to work as a team player. He doesn’t seem to be what West Hollywood needs. @Guilermo: Tell us what you know! Heilman: Seems clearly knowledgeable. Best Qualified. Shink: What concerns you? We’ve heard concerns but mostly that she really has no record. Etman: Agreed; seems balanced and fair but not yet ready for prime time–thoughts? Block: Not sure who, what where he is for/against. Shink – Her record concerns me. However she seems to be running based on good ideas. Etman – Is running based on good ideas, but otherwise I have no idea who he is. How is he gonna get traction to really do anything? He seems to be someone who will just get drowned out by stronger voices on council. Block – Everytime I run into this guy, it leaves a bad taste in my mouth. He doesn’t seem to understand that being the anti-establishment candidate doesn’t require you to be unethical. I think Mr. Mason, by endorsing Mr. Heilman, is because: 1) He hopes Heilman regains his seat on the City Council and, if so, 2) That Mr. Heilman will appoint him to a Commission thereby establishing a “base” to further his own future political objectives. What a sell-out ! Cassandra, you are the first person who has ever agreed with me about that awfull library and parking structure. It could have been built with the majority of it underground. But it was not just Hielman who supported it, it was the entire City Council. The same is true concerning the paving over of the rest of the park. With the final vote about two months ago concerning phase two the Dog Park portion was not debated at all. At $750,000 I believe there should have been some discussion but Mayor D’Amico pointed the debate away from that and pushed thru the final vote. I did not vote for D’Amico, Horvath, or Meister. Much of the Deputygate I believe has been caused by D’Amico. I used to like him but as time has past his true colors came to light. I voted for the best qualified in my opinion. John Heilman fits that bill. I like others may disagree with him on some issues but I don’t believe he is in anyone’s pocket. He surely doesn’t need the job. He’s a noted law professor at two or three different law schools. Who else is better qualified? Hey DK, why don’t you write and opinion piece using your real name. How do you think that’s going to go over? My understanding of journalism, at least objective journalism, is that competing opinions should be actively and aggressively pursued in order to provide balance. This is especially true of electioneering, lest campaign operative manipulate media outlets into unwittingly becoming an arm of their own pet issues. We do seek differing opinions and I’m quite surprised how many people aren’t willing to take the time to offer them. Every City Council member, for example, has been approached about writing an opinion piece. Only John d’Amico has actually done that. It is encouraging that most – though not all — candidates have offered their responses to the Citizen Agenda questions raised by our readers. @One of Cassandra’s Snakes….Of course we need more parking, of course we need two pools…..You must be the one snake stuck in the past, or just not paying attention. Thanks Hank for setting “DK” straight….. His/her rants are getting tired. Oh Oh, is “Jay Landesman” going to tell me my comments are tired too?…..lol….come on “Jay”, where are you? Does anyone remember maybe back in the 90s when Heilman proposed a City Council edifice in WH Park that resembled, as I recall, the Crystal Cathedral ? Talk about ego and grandiosity ! Mercifully, that never came to pass due to the outcry from WeHo residents. WHY Mr. Mason is endorsing Mr. Heilman can only be related to his lack of knowledge of what transpired during Mr. Heilman’s “reign.” John devoted over 30 years to the city, some very good and some very bad. It’s time he gracefully retired, or like some of his predecessors sought another public office. And after the candidate forum in January and being impressed by Mr. Mason’s comments, I sent him an e-mail requesting a conversation. I never heard from him ! Mike Dunn is your classic Heilman supporter; his comment history on this site shows he is an avowed anti-Obama Republican with tinges of anti-black bigotry (see his comments on “D’Amico and Meister Win City Council Election”-3/3/15 and “On the Eve of P.U.M.P.’s Opening , There’s More Drama in Its Landlord’s Lawsuit”-5/12/14). And if Heilman gets back on Council — which he likely will not since voters clearly and rightly want change — he, Horvath, and Duran will enact more corporatist Republican-type policies that sacrifice middle class well-being to monied interests. That’s not what West Hollywood needs. Heidi Shink or Larry Block will represent along with D’Amico and Meister a voice for the people. Heilman proved that he did not care about the little guy when he voted for the extended meter hours that are killing quality of life in West Hollywood to line the pockets of overpaid City Hall employees and build them a multimillion-dollar luxury parking garage. D’Amico rightly sided with the people and opposed this measure, as do Shink and Block. Shawn Thompson is right: we do not need Heilman back on Council. He was already voted out for good reason. It’s sad to see James Duke Mason, who a few weeks ago was a strong voice for real change, sell out to the good ole boys club and bury his political future in the process. If he thinks joining forces with the wealthy establishment is his path to political success in this town, he is playing his cards all wrong. The days of corporate overdevelopment and parking ticket shakedowns as represented by Heilman are over. Change is in the air; too bad Mason is stuck in the past. It took Heilman over twenty years to sell out, so at least Mason can be praised for showing his true colors in less than a month. It’s also bizarre for him and others to tout WeHo’s “diversity” as a Heilman achievement. Um, WeHo is almost 100% white, its minority population dwindling during Heilman’s tenure as WeHo becomes more and more an enclave for wealthy whites, missing only WHITES ONLY signs out of the Jim Crow South. Mason and other Heilman supporters apparently need to refresh themselves on the meaning of the word “diverse”. Do they also think the Aryan Brotherhood is diverse? This is now the second Heilman endorsement to appear on this site, along with articles lauding his support and criticizing shink. It will be interesting to see if WeHoville manages to find a writer who endorses someone else, or if the pretense of being neutral is dropped and the site openly embraces its “all-in-for-Heilman” posture, which is as transparent as the day is long. WEHOville welcomes relevant and well-written opinion pieces from everyone. We do not refuse to publish a piece on one side of an issue because those on the other side don’t want to take the time to express themselves. DK, as usual you make assumptions that are baseless and this time inflammatory. I’m not a Republican, I’m a Conservative. You are correct, I dislike Obama because in my opinion he is either stupid or corrupt. He clearly is not qualified to hold the office of President. Investigation after investigation each time with no cooperation by the White House and in most cases the erection of barriers to hinder the investigations. At no time have I ever made remarks that could be construed as bigoted except by a person like you who complains continuously because of your failure to succeed in today’s world and blaming my generation. .
And now you believe John Heilman single handedly changed the parking meter rates and enforcement times. He was only one person among five who voted for those changes. The same is true about big and small developments. I’m a realist. No matter who owned the Movie Town Plaza for instance was not going to build a low rise project there. It’s just not good business. In my opinion as a citizen of West Hollywood wishing to maintain the small village atmosphere it would have been nice to build a entire gated neighborhood of town homes. But I’m not the developer and the person who must prove to a loaning institution that their project is a good business investment. That’s the bottom line. Do we allow a large development or do we live with a run down empty shopping center? So many candidates ran on the issue of over development but have endorsed the monstrosity Library/ Parking Structure in West Hollywood Park. The entire council voted for Phase 2 which will pave over the rest of the park. Never heard any candidate come out and oppose it. And in fact D’Amico as mayor glossed over the proposed $750,000 for the dog park. I did vote for John Heilman in the last election but not for D’Amico, and the two females because I did not trust D’Amico and did not think the other two were the most qualified. The idea of a female must be on the City Council although not as qualified did not ring true to me. Why not a Conservative? Why not a young person like James “Duke” Mason? Why not a minority? I never heard a debate over that other than Mason being to young. There are three candidates running in June. One I have never heard of, one rubs me the wrong way and one that is the most qualified and experienced. Token candidates cannot be taken seriously. There is just one reason to vote for someone, are they the most qualified? And your final accusation concerning John Heilman being bribed by developers. Do you or anyone else have any proof or is this just another of your fantasies? @Mike Dunn the Library/ Parking structure was Heilman’s baby and now, under Heilman’s reign of construction, there will be even more parking as part of Phase II in WeHo park to the tune on tens of millions of dollars. Do we need TWO pools?? Do we need more parking? A vote for Heilman is a vote for more, more, more construction. He owes the developers big time. I too, am disappointed in young Mr. Mason, or as someone in the comments said, Commissioner Mason. Cassandra, you are the first person who has ever agreed with me about that awfull library and parking structure. It could have been built with the majority of it underground. But it was not just Heilman who supported it, it was the entire City Council. The same is true concerning the paving over of the rest of the park. With the final vote about two months ago concerning phase two the Dog Park portion was not debated at all. At $75,000 I believe there should have been some discussion but Mayor D’Amico pointed the debate away from that and pushed thru the final vote. I did not vote for D’Amico, Horvath, or what’s her name. Much of the Deputygate I believe has been caused by D’Amico. I used to like him but as time has passed his true colors came to light. I voted for the best qualified in my opinion. John Heilman fits that bill. I like others may disagree with him on some issues but I don’t believe he is in anyone’s pocket. He surely doesn’t need the job. He’s a noted law professor at two or three different law schools. Who else is better qualified? I think the first City council meeting after the election has proved one new member election has been a big mistake. Her demands and overall demeanor is a disgrace to the office she was elected to. Will we see no growth? Only where she lives. Those who attack the large developments on Santa Monica Bl. must recognize what they replaced and what is reasonable for the sites. Was the Faith Plating business better than what is being constructed. Does anyone really believe the almost vacant Movie Town Plaza was more attractive than what is being built there? What I find to be a actual attack on our small town is the Library/Parking Structure monstrosity in West Hollywood Park. Was the city trying to outdo the PDC Red Building as being the most unattractive building in West Hollywood. While a new library was needed along with more parking what was wrong with it being only one story high with the remainder underground. West Hollywood Park is a very small city park. It’s not Griffith Park where a large structure does not look out of place. But so many attack John Heilman because of developments but commend the council in it’s effort to pave over West Hollywood Park with numerous structures. We seriously need John back on the Council to join Duran and Lindsay in stopping the outrageous attack on our city by D’Amico and his allies. @Rudolf…..What “opposite sides” Rudolf? Duke’s op-ed several weeks ago was a glowing acknowledgment of how West Hollywood has evolved into an “amazing city.” His objectives are not much different than John Heilman’s. If people read both of Duke’s Wehoville op-eds, I think most fair and objective individuals will disagree with your conclusion about their differences. James Duke Mason has it right. His eyes have bee opened like many of the rest of us about how badly D’Amico has damaged this City. His pettiness and anger and nothing less than shameful. Plus, when will we see an end to the “narrative” that somehow John D’Amico is new leadership? D’Amico has been around just as long as Heilman. He’s been a Commisioner going back at least 15-20 years now. Not exactly a breath of fresh air and sunshine like tale he’s selling for the past several years. D’Amico has approved more square footage of development in his tenure on Planning Commsion than Heilman did as Councilmember during the same time period. D’Amico voted for the single biggest project in the City’s history. The Sunset Millenium. You know that small growth project that’s got four cranes up on Sunset Blvd.? You can thank D’Amico for all of the traffic it’s causing. Heilman and Land did not vote for the ginormous Sunset Millenium project. D’Amico has been over selling his ant-establishment, anti-development credentials for far too long without the facts being checked. This news site has shed a bright light on D’Amico’s ties to developers. He raised more developer money than any other candidate this last race. Sorry, Heilman people, my reading comprehension is just fine, maybe that’s the problem. The token disclaimer “not in agreement 100% of the time on every single issue” does not – in my opinion – justify endorsing the person who takes the opposite side on issues he just publicly campaigned on several weeks ago. Either his views “matured” very fast or the issues were never important to him. I understand that expectations of politicians are as low as it gets when it comes to integrity but we all have to draw the line somewhere. I look forward to Heilman-appointed commissioner Duke Mason standing up for his original principles, creating some “pretty big disagreements on various fronts”. Duke: While your youth may have been deemed an weight on your candidacy by some, you are in fact one of the lights shining in the darkness of this dimly dynamic election year as West Hollywood collectively wiggles from the confines of “how its always been done.” Everyone who is engaged in any way in this election be they a candidate, a supporter, a voter, or an observer has something to learn as well as to give. There is no greater loss in our political status quo than the many visions and aspirations that end up broken and abandoned by the “my way or the highway” conviction that routinely dominates local elections. While the practice of law is by its nature an adversarial system that necessarily spawns winners and losers, law-making requires no such anchored stand-off (“high crimes and misdemeanors” notwithstanding). I hope the rank vilification that has flavored the 2015 season fades quickly amidst the warmth, enthusiasm, and energy that you and other young leaders have so ably demonstrated through both ideas and attitudes. Could we please have a reading comprehension barometer before folks can comment? Dang, some of these folks is just plain garden variety ruthless doncha think? I agree w/Mike; The “Institutional Knowledge” Is A Valuable Commodity. Come on Mike!….maybe they just can’t read to good. It is important to highlight Duke Mason’s position as stated so clearly and eloquently for some that seem to have missed his point. Only those who chose to spin his words exclude this statement and try to put an erroneous 180 take to his opinion. I am also confused. Everything you originally ran on was against everything Heilman has done for most of his term(s) in the last 15 years. I think you have a great future in West Hollywood politics and I even voted for you. But this sounds to me like a way to get into city hall by any means necessary even changing your own policy ideas. I have been here since before cityhood. I have watched our “urban village” die (on the east side, at least) under Heilman). As soon as those monstrous apartment buildings went up on La Brea, everything changed. Now the whole eastside is a construction zone, with more to come. Village? Give me a break! Heilman/Land didn’t ever see a project they didn’t like. Soon, Santa Monica Blvd will become a canyon of mixed use developments, most likely with empty storefronts. As for the rent stabilization law, have they changed in the last 30 years? There are landlords that just refuse to follow the law and our current laws don’t have teeth in them to go after them. I have one of those landlords who has been harassing me for years, threatening me with eviction even though he has no cause and the city knows it and does nothing. I’m confused, are there 2 different Duke Masons writing for WeHoville? Is this the same Duke Mason, who wrote an op-ed called “Turning The Page” just a few weeks ago that passionately called for fundamental change on the city council?? This endorsement represents a 180 that would make Mitt Romney dizzy. Gee, and he also changed his writing style, I wonder what happened? Small business rent control, pass Measure R, protect our historic buildings… What happened? Will the real Duke Mason please stand up? Duke, such a sad day for democracy with this op.ed. The voters approved term limits. Limiting council member to 12 years. Mr Heilman has had 30. He lost in the last election. Said he wouldn’t run again if he lost and now he is. You ran a campaign talking about new ideas, changing the status quo, reducing parking costs and so on. All of which isn’t what Mr Heilman represents. So now to support him is just a breach of your message from the campaign. And more importantly for me specifically as a 20 year resident of this city. On the eve of the election you knew you couldn’t win. With Vince Racone as you campaign manger I am sure you we aware. And not that your campaign didn’t add to the discussion, but instead of stepping out, you came to council and both you and you campaign manager wasted the community’s time and energy and had to listen to both of you spin a ruse which is that you had a chance of winning. And instead of doing the right thing and getting out of the race and sending your votes to a candidate that could, you split the vote and weakened our elections. All this in the name of bringing new to #weho? You have sold out to the old boys club, out of town real estate speculators and more of the same forced density that is driving our city to more and more gridlock. I’ve lost even more respect for you as a individual who wants to do good for the West Hollywood Residents after this OP/ED. Duke, I am beyond impressed with how articulate you are. Bright, intelligent and instinctually right-on-the-money. 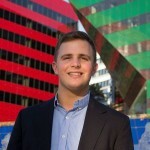 You, like John Heilman, will be a great asset to our small city, West Hollywood. Thirty years ago, we were bestowed cityhood with John Heilman at the helm. Today our city is admired worldwide. I see in you Duke the qualities, character, vision, care and concern for the residents of our fine city. This is what attracted many of us to come to West Hollywood, our home. Similarities to John, as you mention, but unique and new attributes that will make you a fine leader for our future. You care. Duke, along with John Heilman. I see the successful passage of a great legacy into the future hands that will continue the bedrock principles of West Hollywood that John and other’s inaugurated. Under John Heilman’s tutelage, you will become West Hollywood’s fair, thoughtful and inspirational leader. I predict that you, along with Lindsey Horvath, when your time comes, West Hollywood’s legacy will be long preserver for all and all will be the better for passage. Affordable Housing, Inclusionary housing, new WHCHC for those that want to live in West Hollywood and enjoy a quality of life that their incomes will allow. Eclectic, diverse, yes it is possible for us all to live together and be the recipients of all the incredible aspect’s that have made West Hollywood unique and desirable destination to become home. I personally thank you for your recognition of our founder, John Heilman and your endorsement. Duke, you shall reap the benefits of his institutional knowledge and take this gift and apply to your already deeply rooted fine character. These past couple of years, I have been concerned but today the future is coming back into focus and I am excited. Why? John Heilman has always represented our interests and should continue. Lindsey Horvath, our new Mayor, will lead with strength that is innate and vision that meets the needs of our diverse and eclectic City. Duke you are right in step with your skills, knowledge, desire to be of service. Duke, you are a power and resource for West Hollywood and I am grateful to have meet and now to call a friend. Weho 2.0 needs a fix. Get the John Heilman update available in June. Wow, Duke. You have taken the kool-aid to a whole new level! Well said and right in the money! Duke, you mention urban village – with Mr. Heilman’s leadership our urban village has pretty much turned into a steel-glass-concrete mixed use developer’s dream! The term urban village is as disingenuous as constantly referring to our city as creative. You are so clearly blinded by Heilman light. Has our city grown in the past 30 years under Mr. Heilman’s leadership? Yes. Is it time for our council to stop being in the pockets of developers? You better believe it is and if Heilman gets back on council, well…..seeing is believing and believe you me we ain’t seen nothing yet! ALSO: Today Is Richard Grieco’s Birthday! I was there, in 1984, with John on the 40-person ballot. He won and I volunteered to exact promises made by the cable operator to our predecessor-entity, Los Angeles County. Imagine in those days, if we wanted a stop sign, we had to go Downtown and wade through the whole county’s business before they got to you. I was there for every city council meeting for a year with my TV crew getting every one on tape. John fought like a veteran in his first year for Rent Control. There were also CURB CUTS, the planting of the median strip down SMB ( It used to look like hell with exposed rail lines and weeds all the way to Sweetzer ), the acquisition of additional parkland on DeLongpre St, his FIERCE opposition to the introduction of “Card Tables” gambling, He never resisted my determination to see that we had a Municipal Access channel that would eventually cablecast LIVE meetings held in the evening. ( I think still today, Long Beach has their council meetings at 9am with no TV. They’re too shy to be on TV—-Not John ). I should give credit to Bill Rosendahl & Fred Cunningham of Beverly Hills for the guidance they gave me. Vote for John; I would, if I were still there. What happened to the great friendshipe D’Amico had with John Duran? D’Amico I’m sure is behind all the turmoil in City Hall. I can see him voted out in the next election unless he changes style. Well written, Duke. I’m right there with you. Mr. Heilman is a leader and will balance this council nicely. I continue to be disappointed by Mr. D’Amico’s unnecessary conduct.